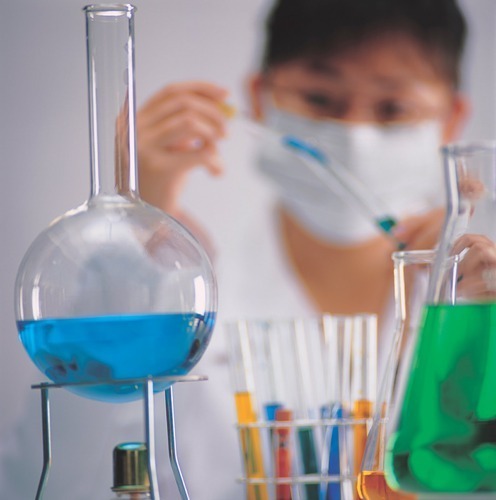 We are a leading and experienced manufacturer, exporter and supplier of Ethyl Acetate, Acetaldehyde and Pentaerythritol. Owing to our vast experience in this domain, we are engaged in manufacturing, supplying and exporting a comprehensive assortment of Industrial Chemicals. Our Range includes Ethyl Acetate, Acetaldehyde, and Pentaerythritol used in Printing Industry, Paint Industry, Pharmaceutical and Food Industry. Our products has been formulated in compliance with the international quality standards and norms with utmost care and in appropriate ratios. Customers have highly acknowledge our product line for the accurate compositions, precise pH value, optimum quality, high efficiency, longer shelf life and purity. These features have enabled our range to be prominently used in varied industries in diverse applications.